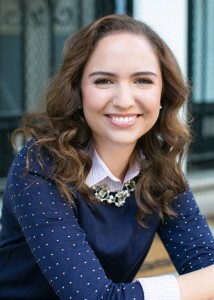 Guest Blog by Kira Asatryan. If you’re human, you’ve felt lonely – at least once or twice. If you’re a straight woman, you’ve likely craved the tender embrace of a man when this loneliness hits. Women know the road to happiness isn’t paved with men, and yet they’re often our first thought when we’re feeling unnervingly alone. Men make us feel wanted. They make us excited about the future. It’s only natural to find comfort in finding a potential mate. But women should know that a vast (and growing) body of research suggests that men – comforting as they may be – are the less skilled gender when it comes to creating meaningful connections… the type of connections that alleviate loneliness. The research suggests, in fact, that women are better at providing the types of interactions that reduce loneliness – even for other women. According to a study in which 96 college seniors recorded and rated every social interaction they had over a 2-week period, both male and female participants felt less lonely after talking to a woman. So, my question to you is: should we be prioritizing time with women over time with men when we’re feeling lonely? Below are good reasons to give this some consideration. 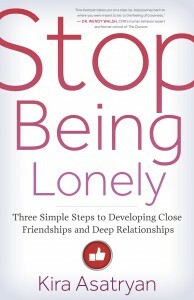 As I discuss at length in my book Stop Being Lonely, the foundation of an interaction that reduces loneliness is the feeling that you’ve been understood by the other person. When you believe the other person “gets” you – or at least an aspect of you – you instantly feel more seen and known… a precursor to feeling more connected. While men are certainly capable of getting to know women and eventually sparking this “feeling seen” sensation in them, there’s good reason to believe that women spark it faster. First of all, women are generally more comfortable sharing personal information than men are; men tend to be socialized to hold their private lives closer to the vest. This matters because – in an interaction – once one person reveals something private, the other person is much more likely to reciprocate with their own private revelation. The reciprocal willingness of women to share private information – or “self-disclose” – builds upon itself when two women are interacting. Double the women may mean double the understanding. In addition, female-to-female relationships tend to grow more consistently than female-to-male relationships, in part because women’s brains are better at remembering this personal information that’s been revealed and retrieving it at their next interaction. To be less lonely, you need to feel at least somewhat understood by the person with whom you’re interacting – but that’s not all. You must also feel like that person cares about what you’re revealing. They must seem (at the very least) interested in what you’re sharing, or the potential connection will fall flat. In other words, if the person you’re confiding in doesn’t appear to care about what you’re saying, confiding will feel like a mistake. You’ll feel like you took a risk, made yourself vulnerable, and it backfired. The key to making someone feel cared about is emotional validation, and – surprise, surprise – women are better at it than men. While our society has long assumed that women are more fluent in emotions than men, it’s only recently than science has started to prove that that is the case. In a 2009 study conducted by researchers at the Université de Montréal, live actors simulated facial expressions in front of a group of male and female participants, and the participants were asked to assess the emotions they had seen on the actors’ faces. The female participants were better at distinguishing between emotions – particularly the negative emotions of fear and disgust. Perhaps even more intriguingly, all the participants “responded quicker when emotions were portrayed by a female rather than a male actor.” This implies that women are better at both identifying and expressing emotions. But caring isn’t just the ability to name what someone is feeling; it’s also the ability to respond to that person’s feelings in a supportive way. And a 2015 study published in the journal Psychological Science found that, under moderate stress, women were better at being supportive of others than men were. While all this research may earn women some bragging rights, my goal here is not to imply that women are the better gender – not even socially. I could write an equally convincing piece that extolled the social virtues of men. My goal is simply to pose two questions: First, are we women looking too intently at men to alleviate our loneliness? And second, are we undervaluing our relationships with women? Actually, I think there’s a third question in here, as well. 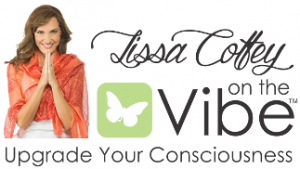 Are we women, at times, confusing a longing for connection with a longing for the company of men… or vice versa? While these two desires may masquerade as one another, they are decidedly different. And if science tells us anything, it’s that one of these two desires can be fulfilled by women.